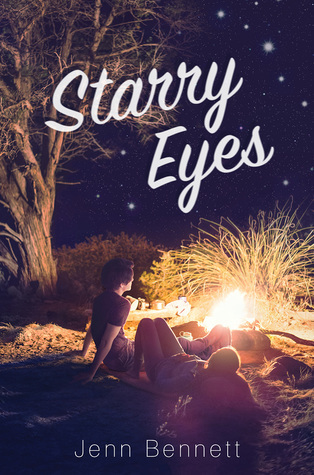 Description (from Goodreads): While trying to score a date with her cute co-worker at the Scooper Dooper, sixteen-year-old Audrey gains unwanted fame and celebrity status when her ex-boyfriend, a rock musician, records a breakup song about her that soars to the top of the Billboard charts. My Thoughts: While ago, I got the Finnish translation of this book from the library. I started to read it but since there was so much going on at that time, I took the book back to the library. Couple of weeks ago I was positively suprised when I received this book, in English, from the library. Audrey, Wait! was everything I expected, and even more. 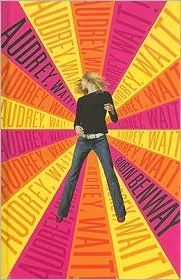 Audrey's life changes completely when her ex-boyfriend's band record a breakup song about Audrey. People start to know who she is, Internet is filled with rumors about her and paparazzi follow her everywhere. In that kind of situation, living her normal life gets harder and harder. Dating James, a cute guy from the same work, is hard since they are followed all the time and in the end the tension between best friends, Audrey and Victoria, gets to be too much. Can Audrey control her life and what gets to the public or is she going to become a slave of the public. I loved this book. In some levels I was able to identify with Audrey; I love music and while reading the book I noticed that I have pretty much the same taste of music with Audrey. I also have an amazing best friend who means everything to me. Audrey is also quite headstrong and temperamentic, which reminded me of myself. When I finished with this book I had to take a notebook and write down all the songs from the beginnings of the chapters (every chapter starts with a quotation from a song) and now I made a playlist called "Audrey, Wait!" with those songs. Audrey Wait! is a great YA book. It has a likable characters, great friendship, young love, complications and what I love the most, happy ending. If you want to read a story of a ordinary girl who suddenly becomes famous because of a song, Audrey, Wait! is perfect choice for you. Audrey Wait was so much fun! I added a bunch of songs to my iTunes after reading this. You definitely should, I think that the first 50-100 pages of the book where the most boring part of it, when Audrey starts to go out with James and there are more and more paparazzi around her the story gets a lot better.